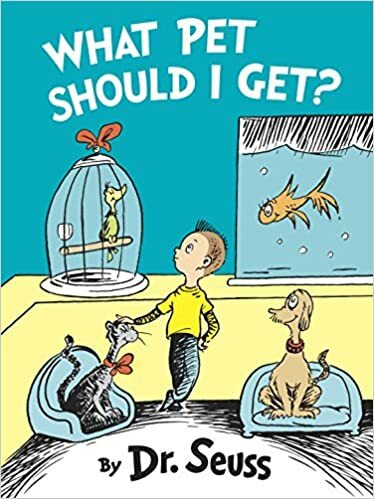 The long lost Dr. Seuss book “What Pet Should I Get?” is set to release July 28th. Everyone has heard of Dr. Seuss, he’s one of the most beloved children’s book authors of all time. From being read “The Cat in the Hat” as a child or receiving “Oh, the Places You’ll Go!” at graduation, everyone has been touched by him at some point in their lives. So one would think we know everything about the man, but now we find out there is a book we never knew about! The book was found in 2013 when his widow and the author’s assistant, Claudia Prescott, collected his work to be appraised. “16 black-and-white illustrations, with text that he had typed on paper and taped to the drawings. The pages were stained and yellowed, but the story was all there, in Dr. Seuss’ unmistakable rollicking rhymes, The New York Times reports. “Ted always worked on multiple projects and started new things all the time — he was constantly drawing and coming up with ideas for new stories,” Audrey said, according to a statement by Random House in February. This is certainly an unexpected joy for all readers who love Dr. Seuss, and I’m sure it will be warmly received. « From Free Hot Dogs To Cute Dogs, It’s National Hot Dog Day!